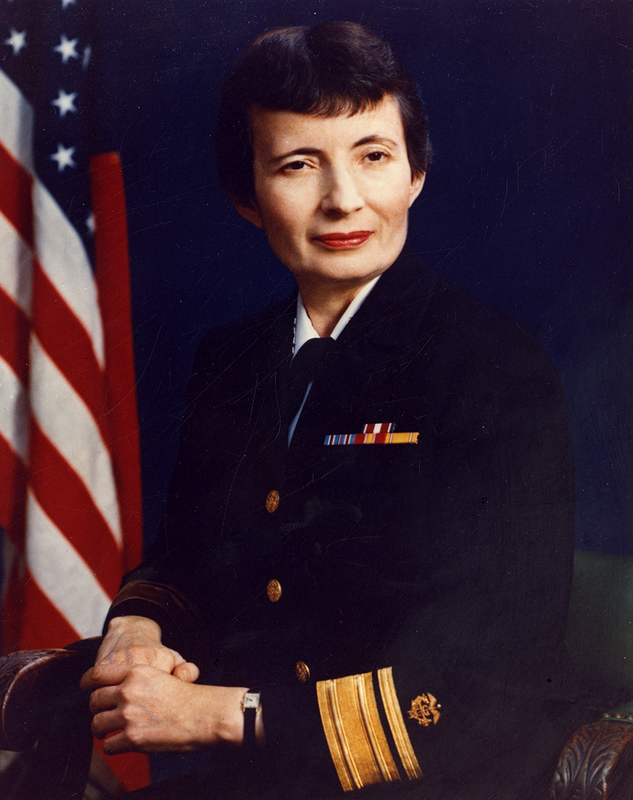 In honor of Women’s History Month, Circulating Now pays tribute today, to Rear Admiral and Nurse, Dr. Faye Glenn Abdellah, Ed.D., LL.D., Sc.D., R.N., F.A.A.N. who died last month at the age of 97. At a time when Flag Officership among health care professionals within the uniformed services remained strictly the purview of male doctors, Faye Abdellah (1919–2017) became the first nurse to achieve the distinguished position and title of Rear Admiral, Upper Half, a two-star rank. A Korean War veteran, Dr. Abdellah was the recipient of five Distinguished Service Medals. Additionally, she was the first nurse and woman in the 200-year history of the United States Public Health Service (USPHS) to hold the position of Deputy Surgeon General from 1981–1989. For her professionalism, she was awarded the Surgeon General’s Medallion in 1989 by Surgeon General C. Everett Koop. This was in recognition for her exemplary service to the Office of the United States Public Health Service Surgeon General. Dr. Abdellah helped guide nursing from a task oriented service focused on treating disease into a profession focusing on healing patients. During this period doctors and nurses began to be trained with a more holistic understanding of human health and greater focus on biomedical research. Because graduate degrees in nursing were not yet available when Faye Abdellah received her R.N. diploma in 1942 from Fitkin Memorial Hospital in New Jersey, she pursued additional academic training from other institutions including Rutgers University where she focused her attention on scientific pursuits like physiology and chemistry. Faye Abdellah discovered a vocation in teaching and shaping the next generation of nurses. Later degrees, to include a Masters and a Doctorate from Columbia University in New York would concentrate on the field of education. This intense study in the field of education would serve Faye Abdellah well as she became a visiting and full time professor in several colleges of nursing where her area of expertise included instruction in research methods and nursing theory. These colleges of nursing included Yale University in New Haven Connecticut, the University of Washington in Seattle, the University of Colorado in Boulder, the University of Minnesota in Minneapolis, the University of South Carolina in Columbia and the Uniformed Services University of the Health Sciences (USUHS) in Bethesda, Maryland. A lifetime overachiever, Dr. Abdellah did not relax following her retirement in 1989 after a 40-year career in the United States Public Health Services. By this time, USUHS had already graduated approximately 9 classes of medical students who would go on to serve their country as physicians and surgeons in the United States Army, Navy, Air Force and Public Health Service. However, there was still no accompanying graduate school of nursing at this, the first and only federal medical school in the United States. 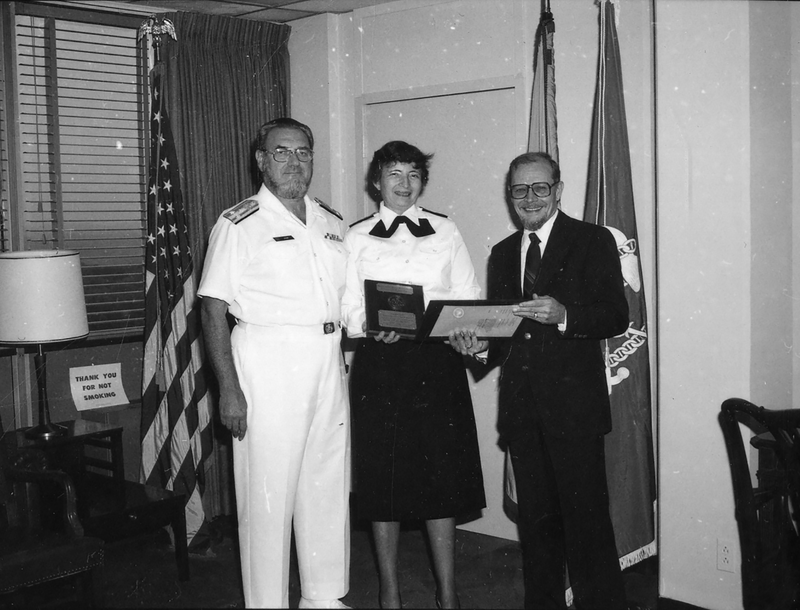 Dr. Abdellah came to the USUHS immediately following her USPHS retirement in 1989 to assist the University’s president and former U.S. Navy Surgeon General Vice Admiral James A. Zimble MD in establishing the Graduate School of Nursing and achieving accreditation. The Uniformed Services University Graduate School of Nursing was finally established in 1993 and named in honor of the now late World War II Veteran, Congressional Medal of Honor recipient and Hawaii Senator Daniel Ken Inouye. 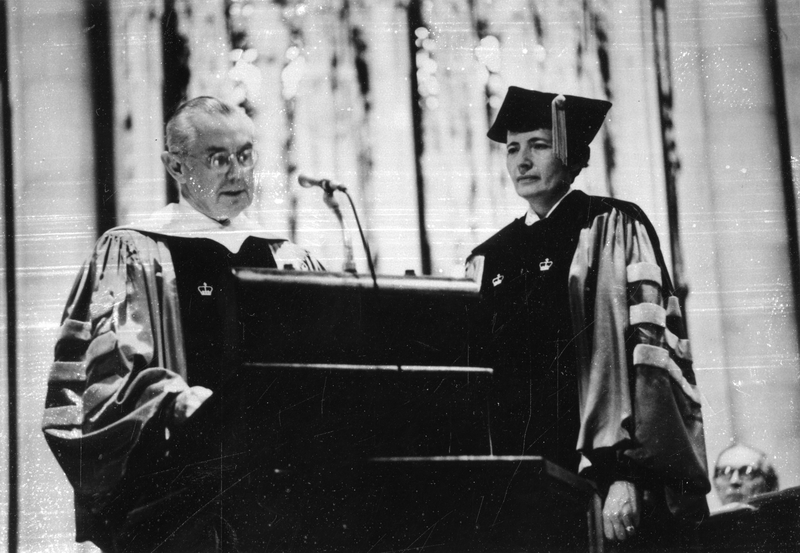 Dr. Faye Abdellah became its’ first and longest serving Dean. Under her leadership, she guided the fledgling school which began with only a single master’s degree into a fully accredited graduate institution offering four Masters Degrees of Science, three Doctor of Nursing Practice and one Doctor of Philosophy program. She retired as Founding Dean in 2002 taking the title of Professor Emeritas. Faye Glenn Abdellah’s professional papers and photographs are available in the History of Medicine Division at the U.S. National Library of Medicine. To learn more about them, please feel free to contact the Library at NLM Customer Support. Douglas Atkins is a technician for the Prints & Photographs collection in the History of Medicine Division at the National Library of Medicine.